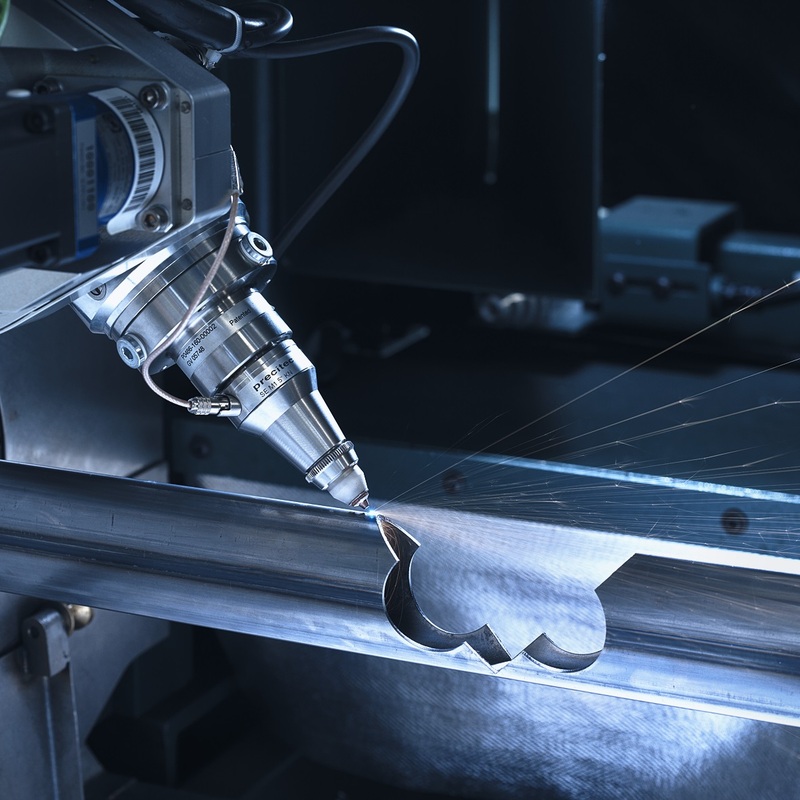 A milestone for the digital transformation: thyssenkrupp connects the machinery of the materials division via a new digital platform. Thanks to toii all machines can communicate with each other. Due to predictive maintenance the platform is also supposed to forecast the necessity of machine services in the future. The name chosen by the business area is a double play on words - it spells IIoT backwards, the abbreviation for “Industrial Internet of Things” - and it is pronounced like the word “toy”, an indication of how the new platform makes linking heterogeneous machines to existing IT structures “child’s play”. toii was developed completely in-house by company software engineering experts and tailored to the specific requirements of Materials Services. The machinery belonging to the business area, which focuses on global materials distribution and processing services, is highly diverse: The machines perform a wide range of tasks, were made by various manufacturers and differ in age. 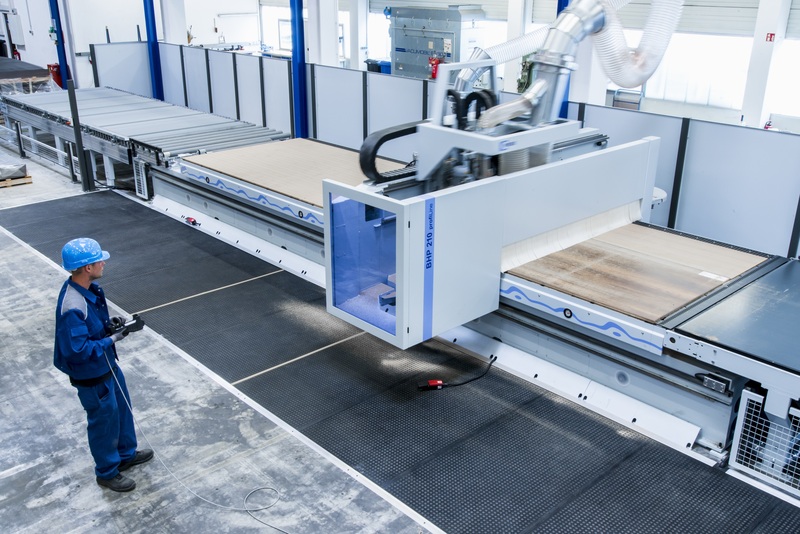 Now toii makes it possible to connect bandsaws and bending machines, mobile objects like cranes and forklifts and even complex production facilities such as slitting and cut to length lines and sophisticated processing solutions through milling machines and laser systems digitally in line with the Industrial Internet of Things. The digital platform allows the machines to share data and communicate with one another and with the IT systems. Processes can be planned and coordinated optimally and flexibly – across locations, worldwide. As a further major benefit, the platform simplifies data analysis. Which product has been produced when and in what quantities? Which machine needs maintenance? What could be developing into a problem? 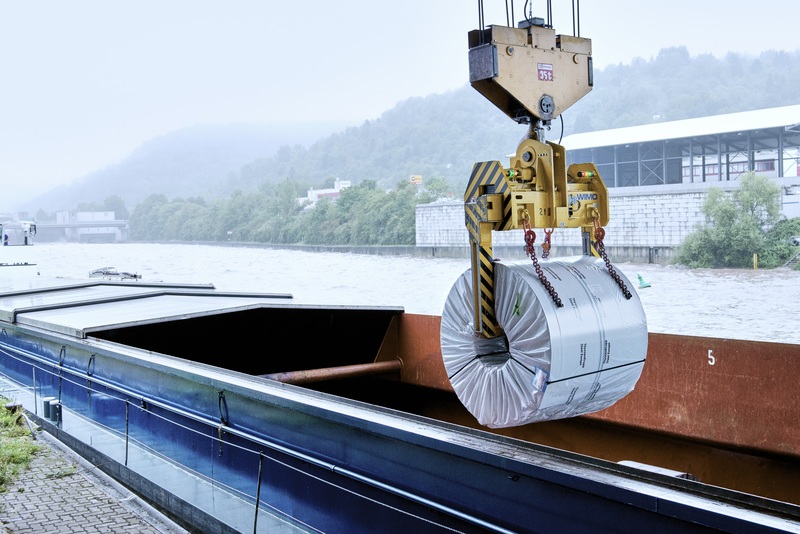 What additional materials need to be delivered? The system answers all of these questions and many more by gathering and analyzing data. The results are just a mouse click away – clearly structured and easy to understand. toii has already successfully proven its worth in several pilot projects. 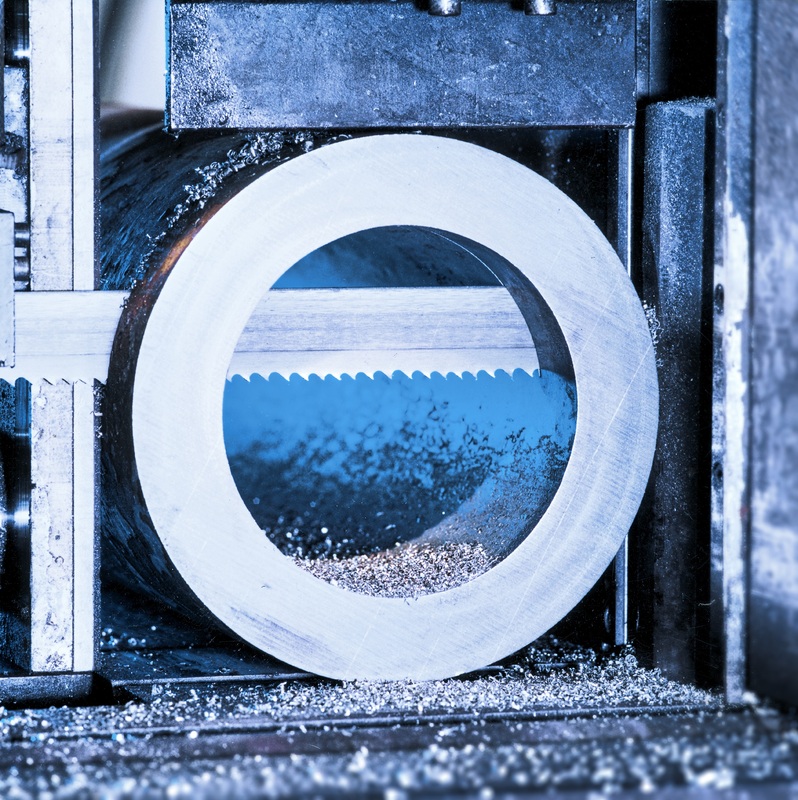 For example, at Materials Processing Europe in Mannheim, a new, highly complex cut to length line that cuts sheet from coil was fully connected with the platform. 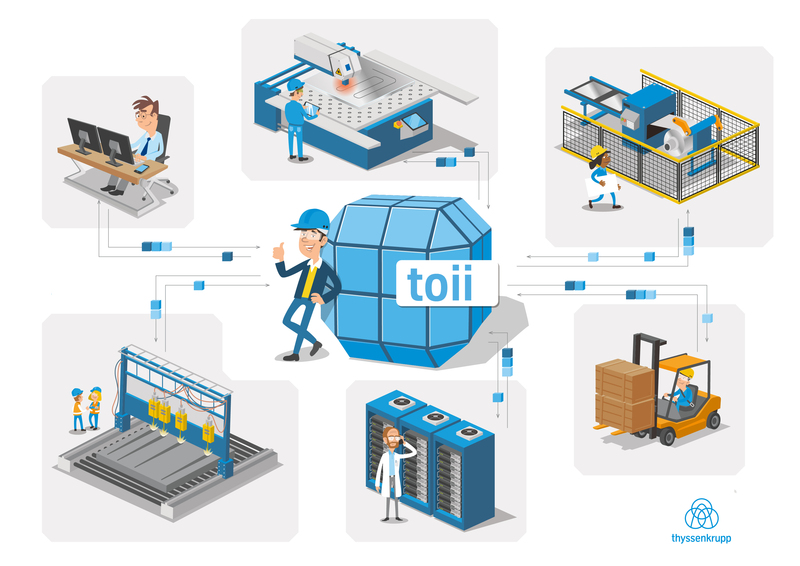 The result: toii transfers work orders directly and in real time from the SAP system to the machine and controls its settings from sizes and weights to volumes. The platform also automatically retrieves the machine information required by SAP. As a result, the status of production and the finished products can be viewed at any time. Other machines have also already been digitally connected and automated using toii, for example measuring the thickness of metal strips for effective quality control and automatic blanking. 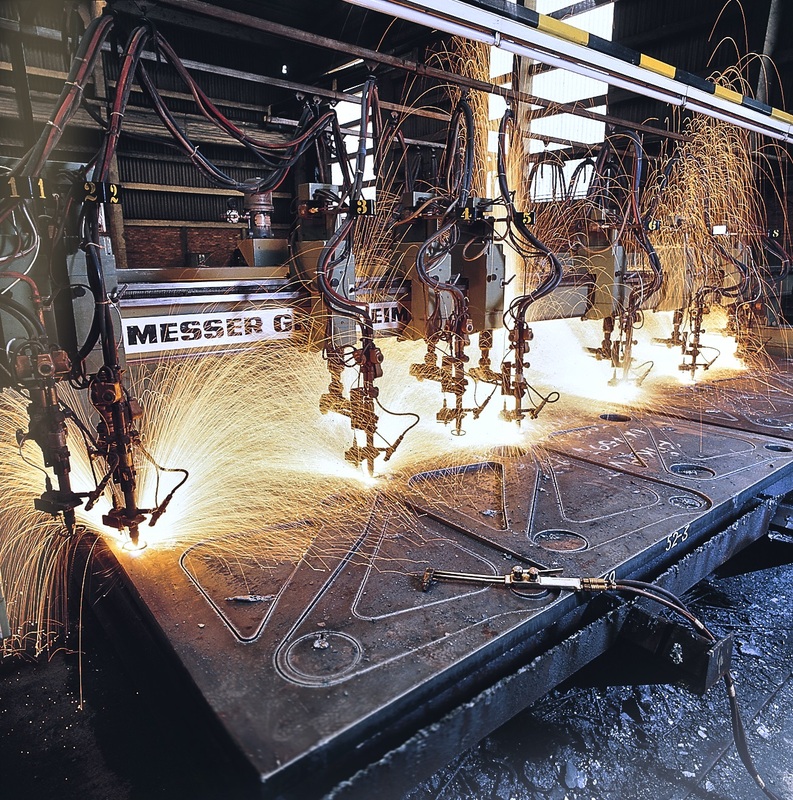 In the latter case, the platform even made it possible to fully integrate the blanking operation into a production line. In other areas, from high-bay storage to mobile construction machinery, toii is improving efficiency as well. The platform is an in-house development, highly scalable, and can integrate up to several hundred machines a year. An international Materials Services team of IT professionals from Germany, India and the USA worked together to develop toii. Alongside various projects in Germany, there are already plans to deploy the system in the UK and the USA. All data are currently hosted on a central server in Germany. But to be able to comply with all data protection law requirements, local servers will also be created in the UK and USA as part of the further roll-out. thyssenkrupp Materials Services is systematically driving the digital transformation of the business area throughout the entire value chain. 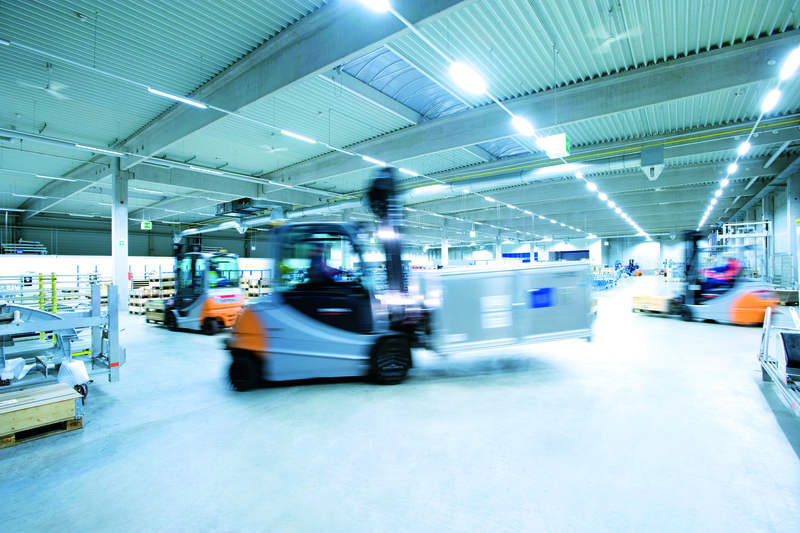 In many areas, connected collaboration and interactive processes are already well established – from logistics, warehousing and line utilization to purchasing and administration. The focus is on customers and their individual requirements. The aim: to continuously develop and implement made-to-measure digital solutions that allow for smarter and more effective collaboration and open up completely new possibilities. With around 480 locations in over 40 countries, the Materials Services business area specializes in materials distribution, logistics and services, the provision of technical services as well as services for industrial plants and steel mills. 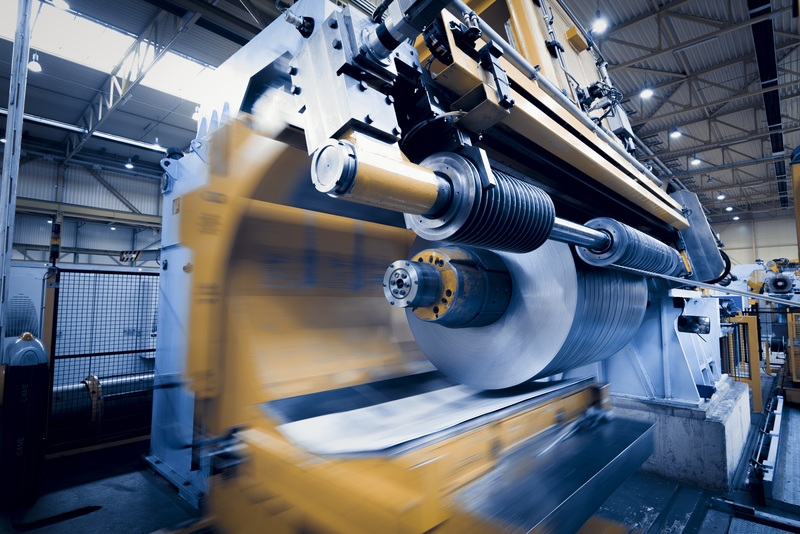 In addition to rolled steel, stainless steel, tubes and pipes, nonferrous metals, specialty materials and plastics, Materials Services also offers services from processing and logistics to warehouse and inventory management through to supply chain and project management.